Brian White is an experienced singing teacher who has been teaching in his own studio in Ainslie for more than 18 years. He enjoys teaching and feels privileged to have taught so many students from a wide range of backgrounds, ages and experience. For a number of years Brian was the convenor of the singing competitions of the Australian National Eisteddfod and the Australian National Aria competitions. He was also president of the Australian National Eisteddfod, and was named a Life Member. 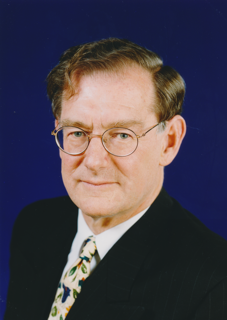 Brian was also the first president of the Canberra Academy of Music and Related Arts, as well as a committee member of Art Song Canberra. Brian holds an ACT Working with Vulnerable People Card, number 70962. “After many years of not getting around to it I decided to seek out a singing teacher. I found Brian and have now been a student for nearly 5 years. Through his skill and guidance he has taught me how to sing !! and I am forever in his debt. His methodology is both structured and measured which has enabled me to grow in confidence and to undertake challenging pieces which I would have once never ever considered singing. His regular workshops enabled me to test my skills with his other students and we could all see the growth, progress and development in each of our singing styles. My ability to sing has been the result of learning the technicalities of singing and then applying the performing elements into a style suitable for my voice. I am now living in New Zealand and am a member of the Napier Civic Choir and singing the Puccini Messa di Gloria as a member of the bass baritone group.